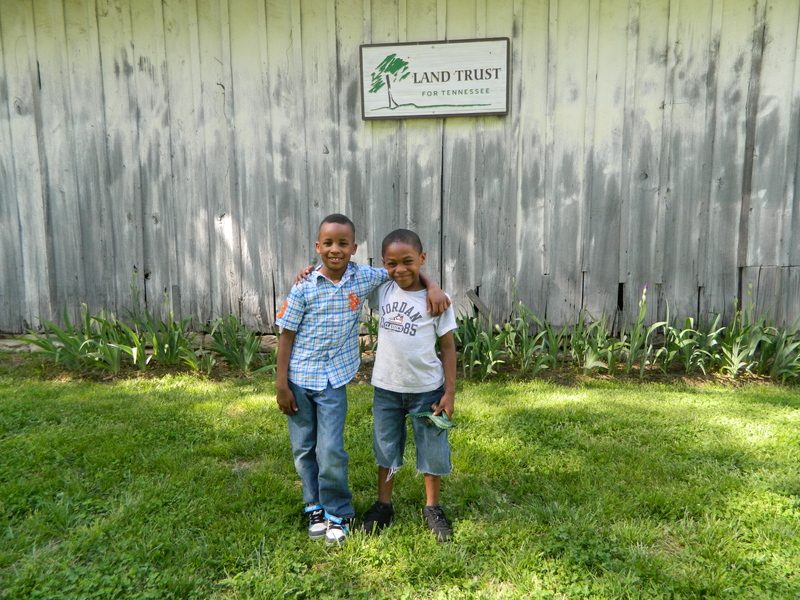 One beautiful spring day, Glen Leven Farm, conserved by the accredited Land Trust for Tennessee, welcomed students with their families and teachers from the John Early Museum Magnet Middle School for a chance to get their hands dirty on a real working farm. A generous grant provided by the Community Foundation of Middle Tennessee made the visit possible. Some of these kids had never been exposed to a natural classroom, and the constant wide-eyed “oohs” and “ahs” floated in a cloud of raw joy and wonder throughout the 65-acre farm. The kids were guided from one station to another, visiting mini-donkeys Dave and Will, watching the cattle being fed and learning about how important farms are to people in one of the most popular attractions, the education garden. The day ended as it started, with laughter and joy, the kids having gained a better understanding of how a farm connects to their daily lives. Caitlin Mello is communications manager at the Land Trust for Tennessee.